An audio concept must measure up to the human ear. That is why a sound difference that can be measured but not heard, is irrelevant for us. Relevant sound solutions, however, are important for us, even if they contradict common knowledge. We don’t want to turn cables into objects of worship: but the blind tests do show a real difference in sound. You could read a bit about VOVOX’s history here. 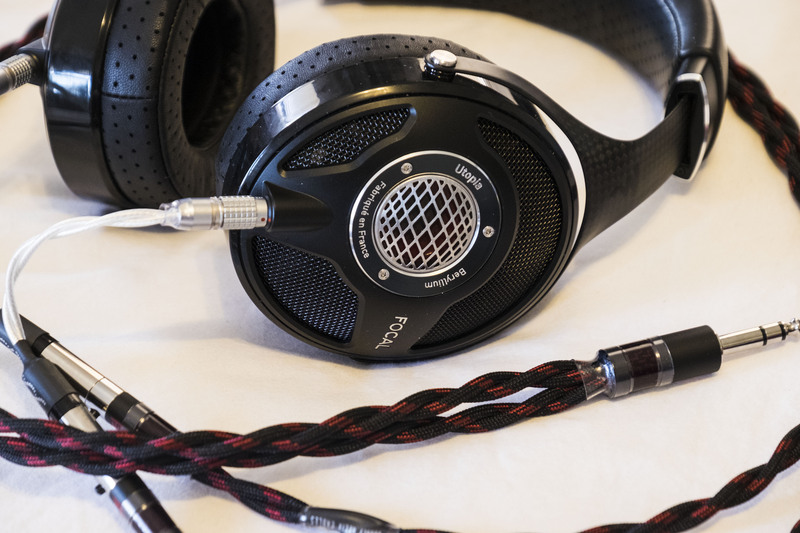 From the packaging to the design and feel of the cables, VOVOX is doing something different. The box is simple, yet elegant. The conductors of the cables are separated from each other and are woven to the cable with precise stitching. Something I’ve never seen before in a cable. It’s hard not to appreciate both the purpose and beauty of this design. The black fabric used is made of Polyester fibers. It mainly fulfills mechanical tasks. There is another fabric you can not see since it is covered by a plastic coating that is in direct contact with the copper conductors. This fabric is made of natural fibers and in fact, affects sound quality. Due to the special properties of natural fibers, this fabric is able to avoid triboelectric effects and electrostatic charge. It also reduces unwanted interactions at the boundary conductor to jacketing to a minimum. By keeping the signal cables apart, we try to reduce interactions between the signals as much as possible. The woven design allows to keep the conductors at a given distance, has good dielectric properties and looks pleasing to the eye. For more information on please check out the product page. Evaluating a single component is difficult enough but I after spending some time with each of these VOVOX cables, I knew I had to “live” with them for a while. Most cable nomenclatures don’t correlate with how they sound. The textura is the exception. You are presented with beautiful and lifelike textures across the board, even without break-in. After listening to these cables on and off for months, I’ve concluded that these cables will probably sound like what the sound engineer or artist wanted you to hear. 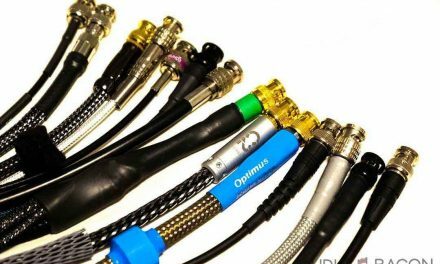 In a way, this isn’t surprising as these cables are used by many musicians and professional recording studios. Other cables I’ve tried have a designer’s touch and color the sound appropriately. The VOVOX textura is unapologetically honest and sweet sounding. It never sacrifices a natural tonality. It also paired very well with the SOtM trifecta. On the downside, it doesn’t have the largest soundstage, layering, or that treble energy to facilitate a more transparent or “holographic” sound. 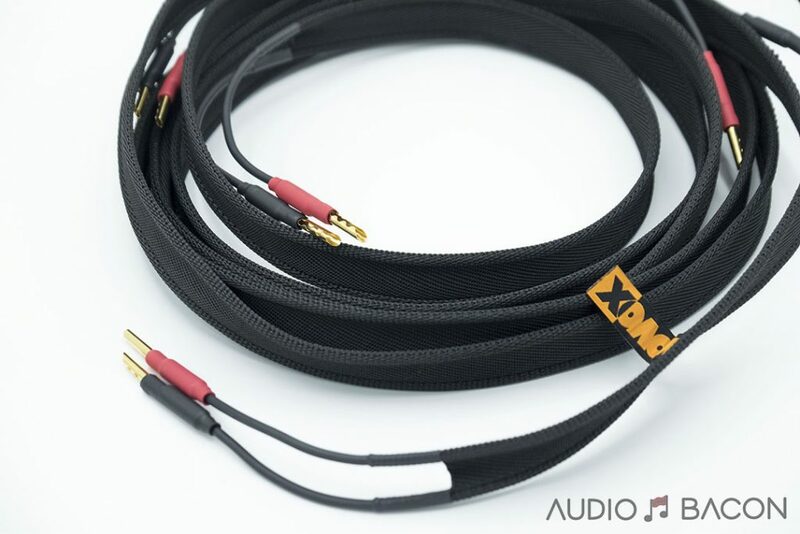 In comparison to other cables, it may not have the most clarity and air but it has enough and is preferential to my ears due to the convincing tonal integrity of instruments and voices. In fact, I feel many of these cables that do have that spaciousness, expand the soundscape it in a very artificial way. This approach robs the music of body, detail, and precise imaging. 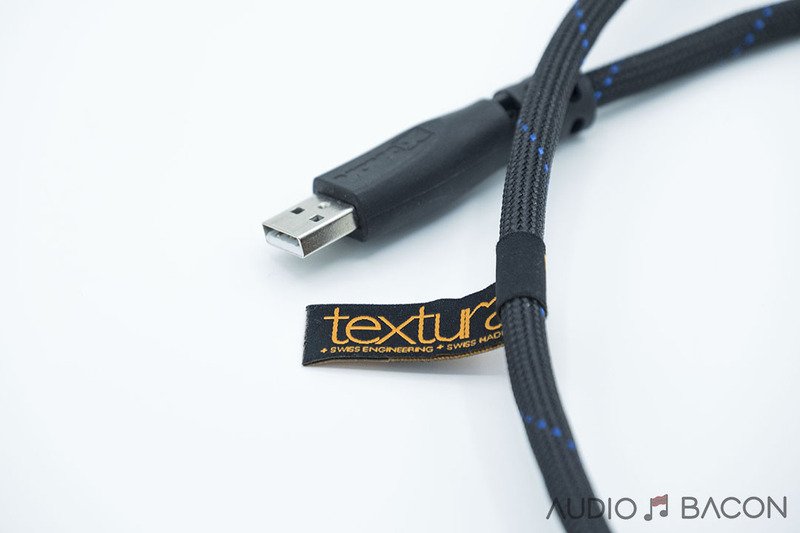 The cables in the textura series remain dynamic and punchy throughout, regardless of genre. 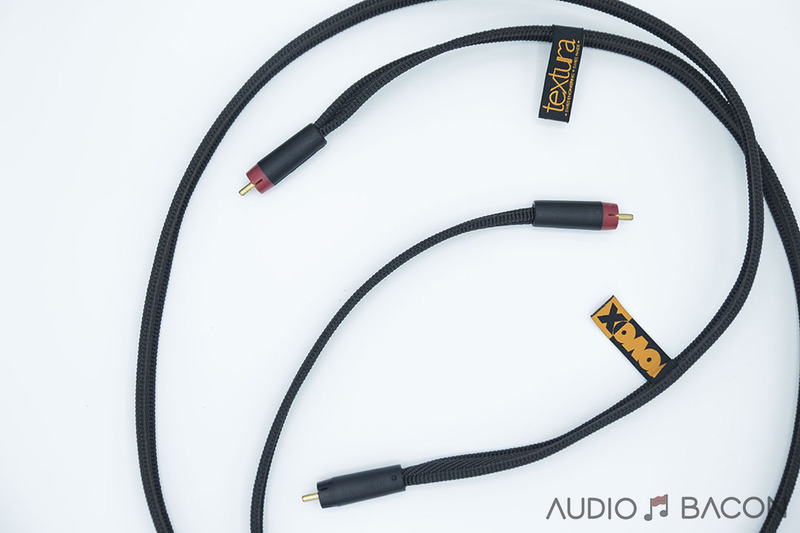 Anyone who listens to these cables can’t deny the musicality they convey. I’ve summarized a few of my notes on the cables into mini-stories. I felt at home with this interconnect. The BulletPlug connectors are probably my favorite connectors for RCA ICs. They’re simple, easy to swap in and out, and sound incredible. Reminds me of the one used for the $2,000 Audience AU24 SX RCA ICs. I had over 15+ RCA interconnects with me at the time and this RCA cable (being one of most inexpensive of the bunch) had the most listening time on my system. What’s interesting is the fact that I’m using these interconnects to drive my custom Omega Compact Alinco monitors directly from the Chord DAVE. In this way, I’m hearing all these cables in its purest form. With the VOVOX textura IC direct RCA, music just sounds as it should. I do miss a bit of that layering, resolution, and air I get with other cables but I can’t get over the exquisite tonal gradations and articulation of this cable. I’m not sure if that’s something I’m willing to compromise with, especially on a leaner sounding system like this. Aside from the fortis, this was my favorite cable from the bunch. 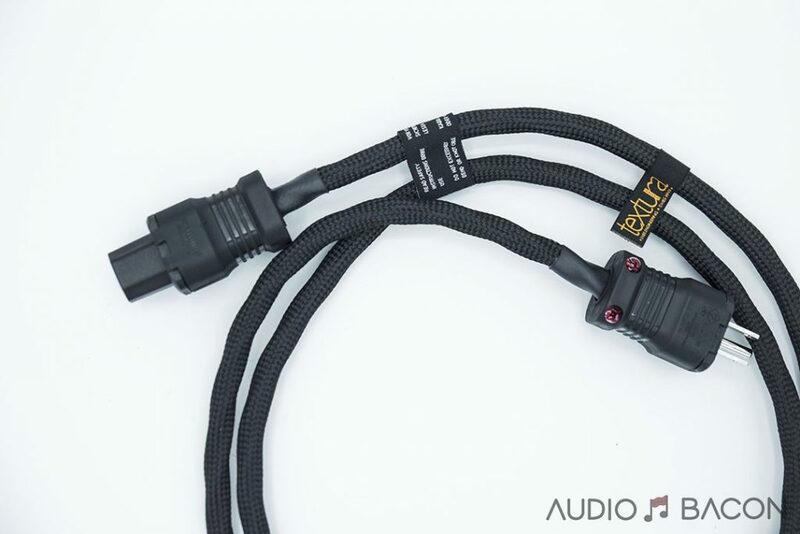 We used these cables on our B&W 804 Diamond 2 rig and the sonic results coincided with the RCA cables. A delightfully rich and nuanced sound. Although it couldn’t compete on soundstage and detail with the $2,800 Audience AU24 SX XLRs that were on the system, you get a lot for your money. Tone and timbre were on point and everything sounded musical and engaging. We didn’t feel the need swap the cables back and enjoyed hours upon hours of music. 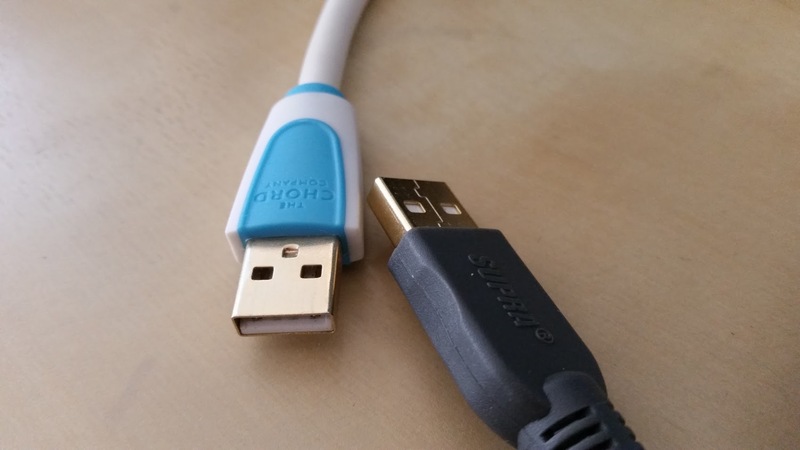 This USB cable was quite a surprise. I was chasing texture in a few other components and this cable did the trick. It just has beautiful tactility and lushness in it’s delivery. It couldn’t quite meet the control, layering, and coherence of the Danacable TruStream USB cable ($895), but got pretty close and doesn’t cost over twice the amount. 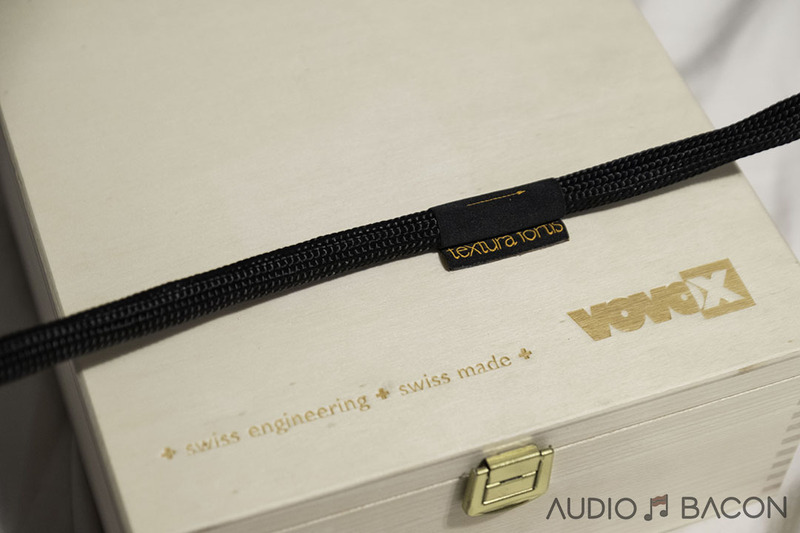 A cable that complements the VOVOX is the Curious USB. I bring both with me on-the-go and select either one depending on mood. Both are amazing for the price. If you’re in the mood for a warmer and cozier sound, go with the VOVOX. If you want something exciting, spacious, and fast, stick with the Curious. Next with have the speaker cables. Pretty much the same signature as the rest of the textura series. 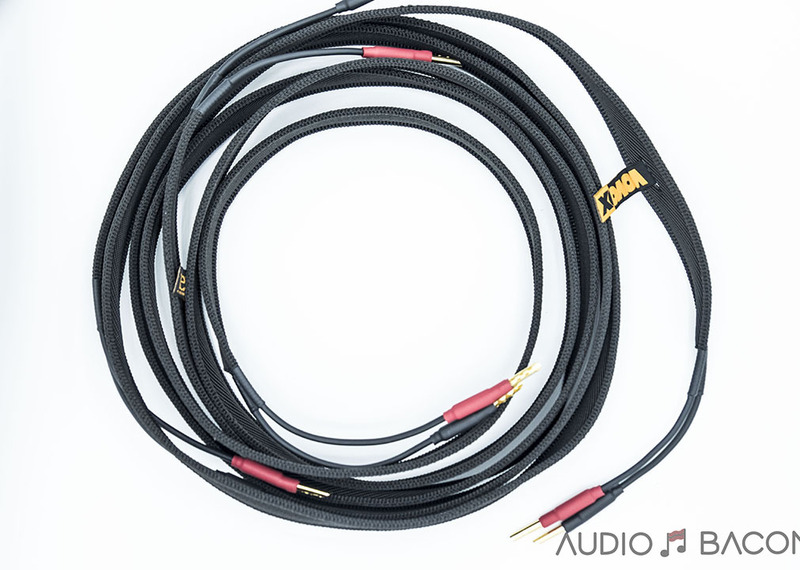 It sounded a bit more intimate and romantic and wasn’t as quiet or open as our reference Kimber Kable Monocole XL speaker cables ($1,420). Both, however, were equally seductive. I can’t really fault this cable because, at the end of the day, the music still sounds accurate and compelling. I actually appreciate this consistency, especially for reason of predictiveness while tuning a system. 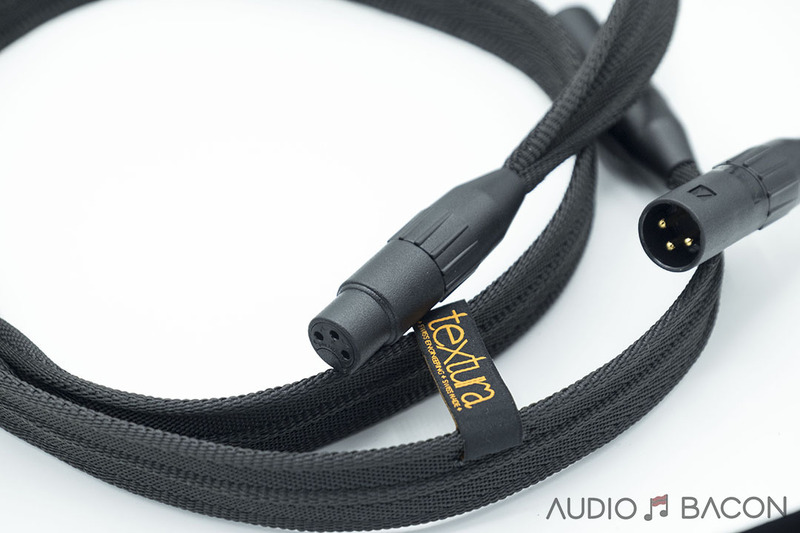 Once you’ve heard one cable from the textura line, you’ll get an idea of how the others will sound. Want even more meat around the bones? Throw in another cable from the series. I only had power cables above the $3,000 price point at this time so no “fair” comparisons, but I did find a place for this cable. 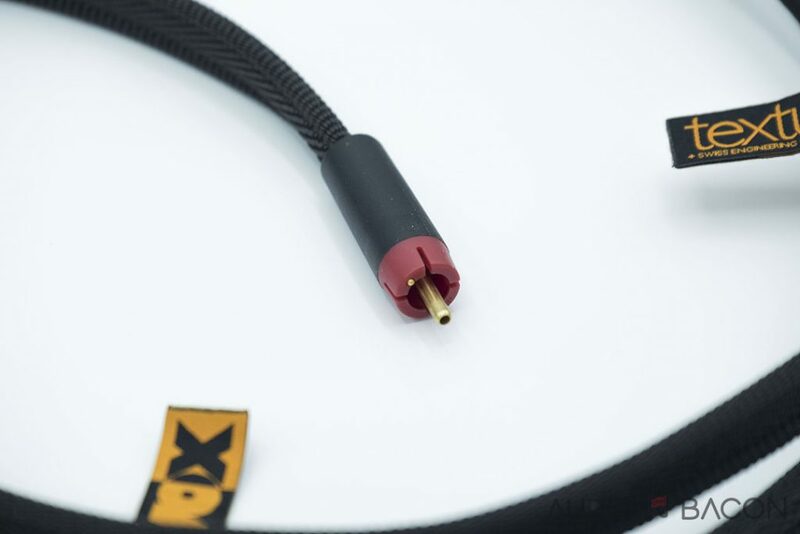 Oddly enough I enjoyed this cable on my JL Audio F110 V2 subwoofer ($2,800) more than even the Synergistic Research UEF Level 3 HC ($3,395) and Furutech PowerFlux 18 ($3,000). Those cables were better on the main circuits but the VOVOX provided the right amount of body and impact that provided the proper fill for my Omega single-driver speakers. I liked them so much I bought the demo pair. 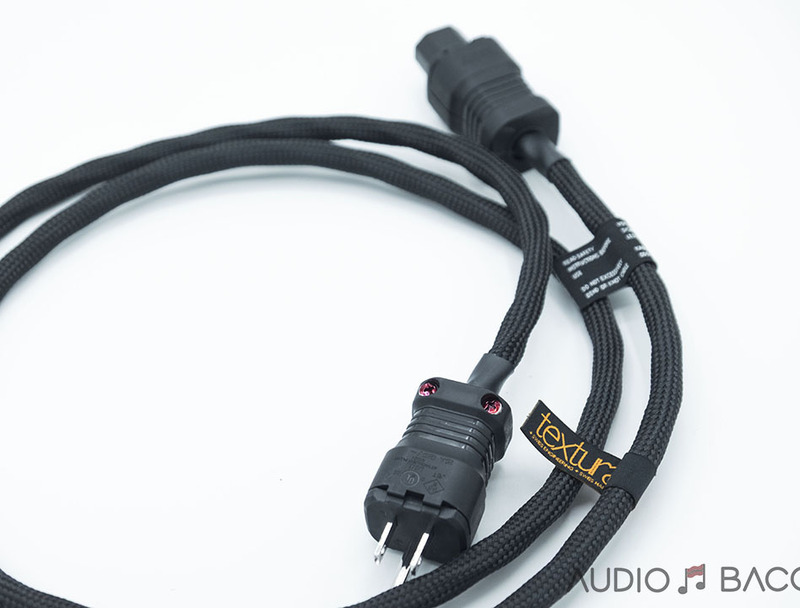 If your equipment is using a stock cable, this cable is an incredible value. I’ve found myself swapping between the VOVOX textura fortis and Audience AU24 SX RCA ICs ($2,000) for most of my critical listening sessions. They both are similarly priced and have different signatures but enjoyable in their own ways. Now this cable isn’t built like the rest. It also comes in a frickin’ wooden box. It’s thick, weighty, and inflexible, but for good reason. 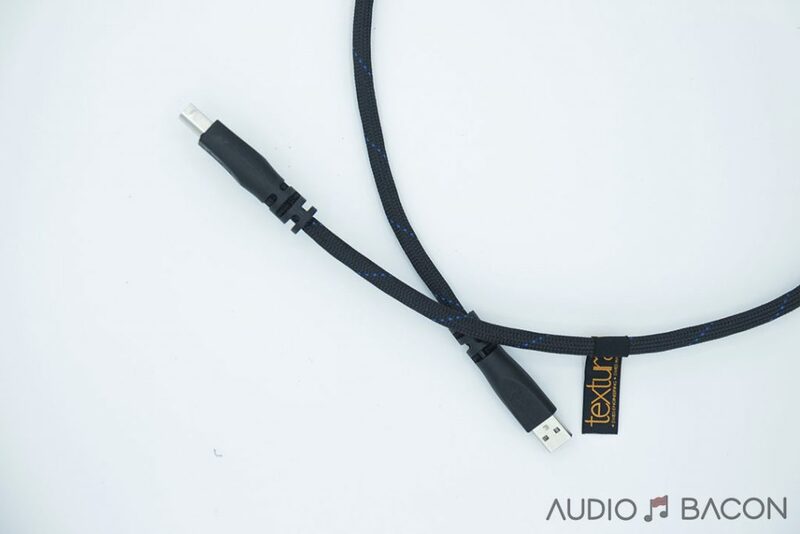 It sports the textura technology, CF-102 from Furutech connectors, and extra large solid core conductors made of continuous cast copper. 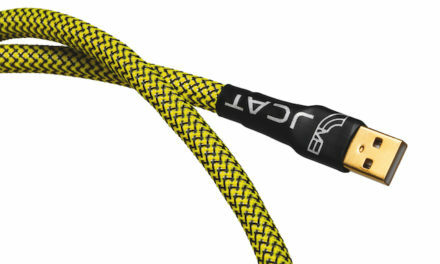 Although I love the IC direct RCA, this cable is in another league. It’s really difficult to critically listen because this cable just pulls you into the music every time. On familiar recordings, I’ve heard textural cues and a tactility I’ve never heard before. There are more spatial cues and air around all the players. It doesn’t have a large amount of shine up top and the background isn’t completely black but that’s to be expected with a cable like this. What it lacks it makes up with relentless musicality. The fortis has much better layering, more roundness, detail, dynamics, extension…pretty much everything over the standard textura stuff. I can’t help but think “This is how music is supposed to sound.” It takes the sound engineer and artist intent to another level of realism. Nothing sounds contrived or artificial, just pure musical bliss. I understand why many SOtM gear owners pair their equipment with VOVOX. The leaner character of the SOtM devices (and perhaps the UpTone LPS-1) synergizes well with the richness and musicality of the VOVOX cables. I’m hoping to keep some of these cables here for future reviews and comparisons. Many of these audio companies just send over anything they want to be evaluated and I usually avoid looking at the price until I’ve finished the review. I’ve done this for headphones, cables, amplifiers, etc. As I was typing in the prices for the VOVOX gear, I was taken aback at how affordable they were. 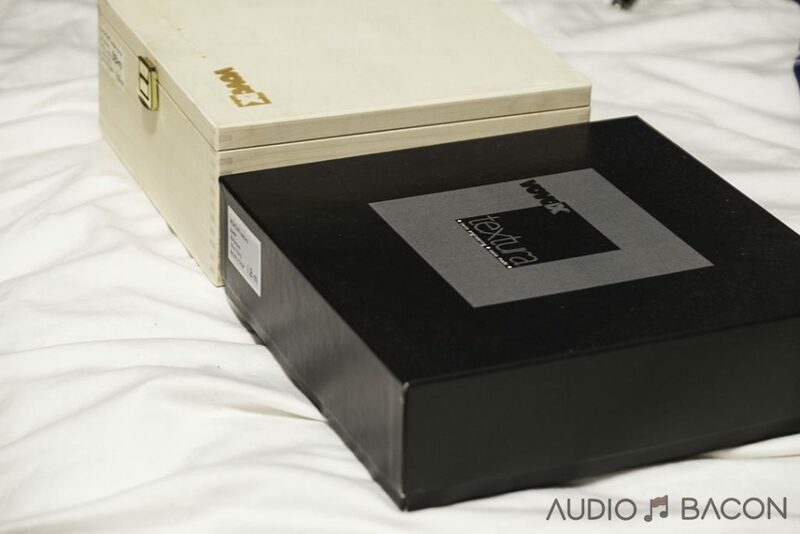 High-end sound for not a high price. 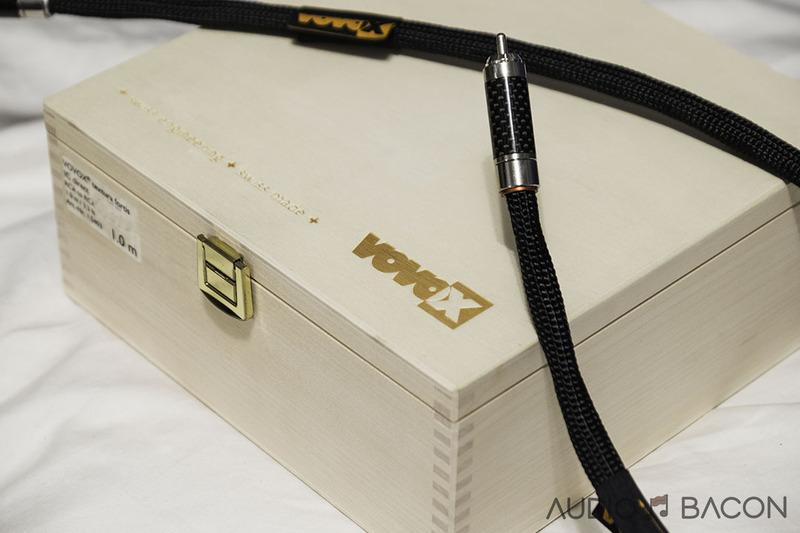 That is the goal of most audiophiles and VOVOX is the quintessence of this notion. 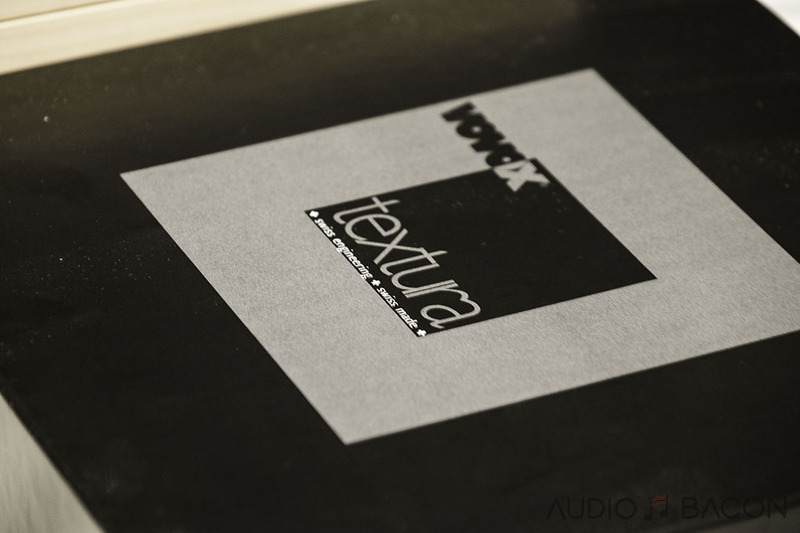 If you find your system lacking that extra bit of rawness, texture, and realism in your recordings, you and your Paypal account won’t be disappointed with the VOVOX textura line.